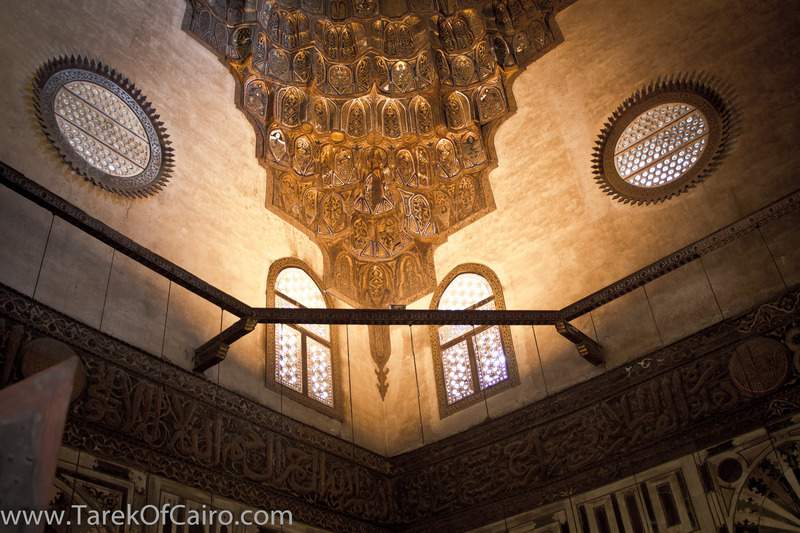 The furnishings of Cairo’s mosques, especially during the Mamluk period, were decorated with intricately constructed polygons and strapwork. Most often, the polygons were of wood, either carved or inlaid with ivory or colored woods. In this particular door (Wood (rosewood and mulberry) it was made of copper / bronze . 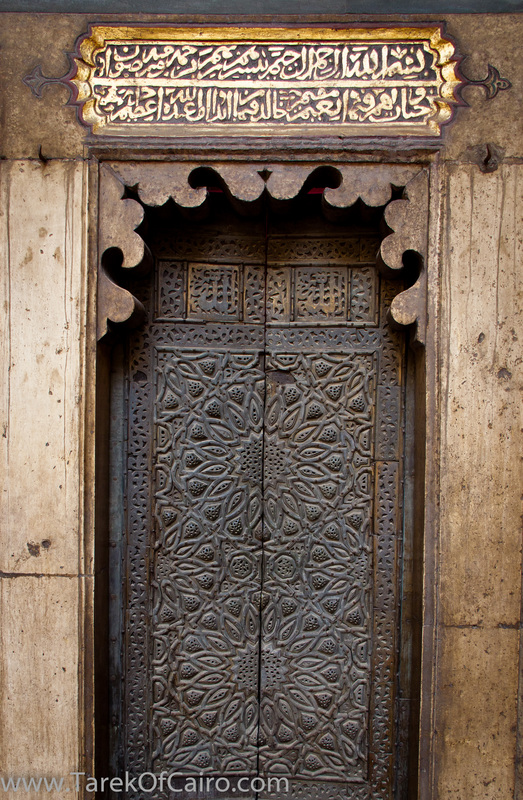 These doors exhibit a great variety of patterns, most of which are also found in other media, such as stone carvings, marble mosaics, and stucco window grilles. The accurate cutting required to make such patterned objects is remarkable, since every piece affects the whole. Zoom in -please – see the missing piece and look how each piece was perfectly nailed in the wood to make the forms. Just recessing the door few inches adds to its beauty. I think there should be a personal (adopted) Qandeel for each Cairian .. This is mine … straight from God .. The shade just feels cooler when you see the brightness outside ..
A day with Sultan Hassan .. The story .. It is a story of a human construction, but as everything in Egypt, under every stone you don’t need to dig deep to find humanity in its wisest form. Whenever I return to this sacred piece of land I wonder why is it that the Egyptian intellectual are so paralyzed with their worries and struggles. If anything we should be the most worry-free place in earth. We have the wisdom of deep culture and history. We have a 7000 years young mind. Age-defying mind. Just leave your TV and your FB and walk in the street of Cairo. Look at the face of Cairians and put your hand on any stone and feel the pulse. Yesterday I transcended over personal worries and went to feel love in Sultan Hassan’s Sahn. He insisted to tell me his story again, this time with yet more secrets revealed. This is just less than 700 years old story. This is story of the Sultan Hassan, the son of the great Mohamed Ibn Qalawoon the victorious. The later was a great Mamluk Sultan who established a great Egyptian empire and left behind the finest monuments of Mamluk architecture. When he died his son Hassan was thirteen , he was crowned as the Sultan in 1347 CE. In reality the military Mamluk Amirs had full control. 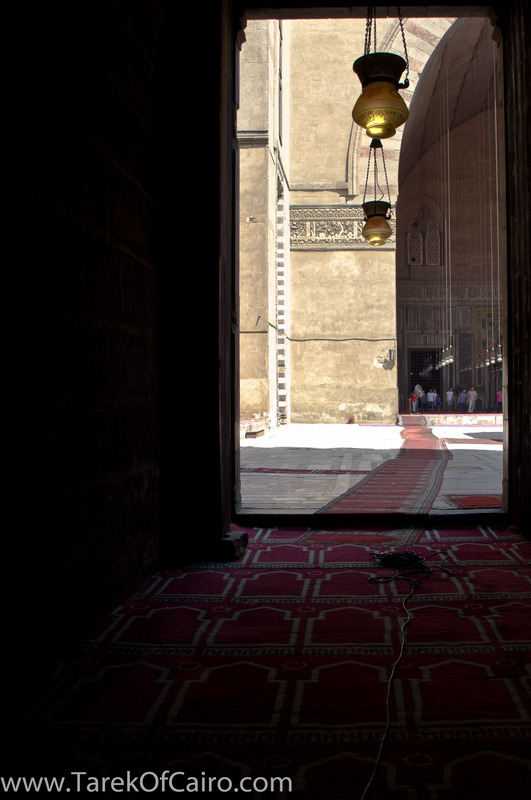 The Mamluk Amirs fought between them for power and control, as a result the Sultan was put at house confinment in his Mother’s Hareem with a daily allowance of 100 dirhams a day ( The Amir for comparison had 200,000 dirham per day). In 1351 he was actually imprisoned for 3 years until a new Mamluk Amir rose to power and in an attempt to claim legitimate control; he re-crowned Hassan as a Sultan for the second time. This time Sultan Hassan learnt his lesson and he had a different plan. The Mamluk Amirs used to live in and around the citadel fortified behind walls and totally detaching them-selves from the Egyptians. Sultan Hassan was adamant to rid the Egyptians (and himself) from the corrupt Mamluk Amirs and regain full control and power. To achieve this he started to get rid of the Mamluk Amirs one by one, and in their positions he put Awlad AlNas (second and third generation Mamluks who were born free) and Egyptians. In few years he had full control. This is how it ends… Yes, so abruptly. Never mind the glorious deeds; everything just went back to normal. Is there a lesson here? .. 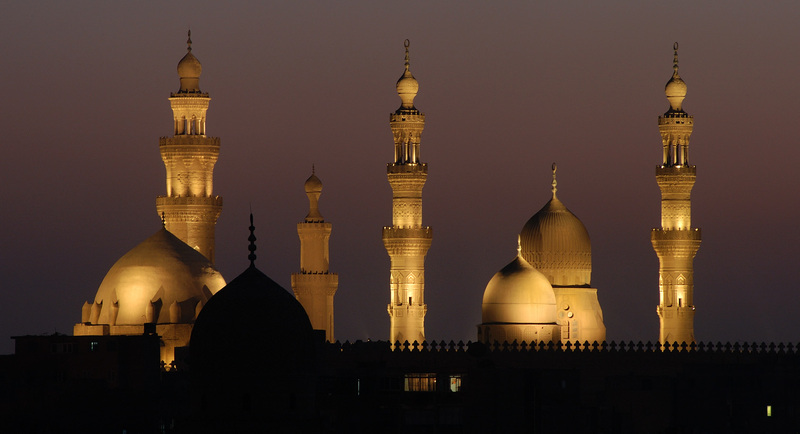 The colossal complex of Sultan Hassan encompasses a mosque, Madrassa, a hospital and huge domed mausoleum. 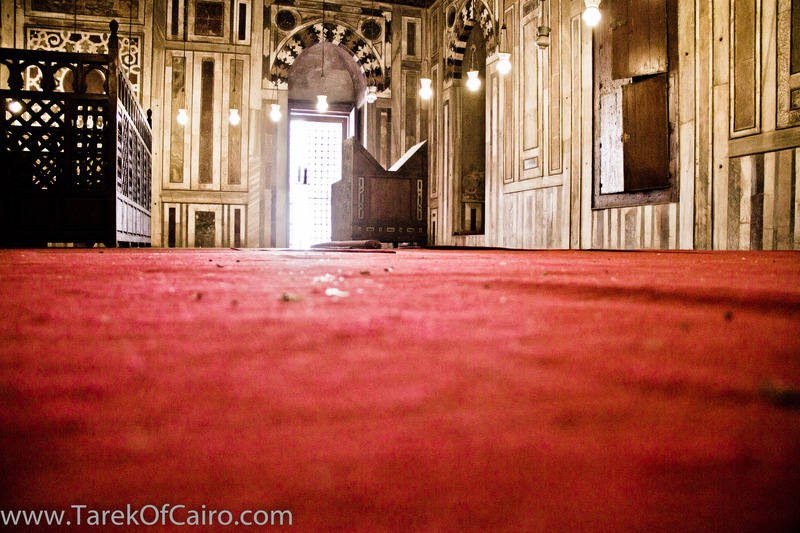 Sultan Hassan was said to call for engineers from all over the world to build the biggest building ever. 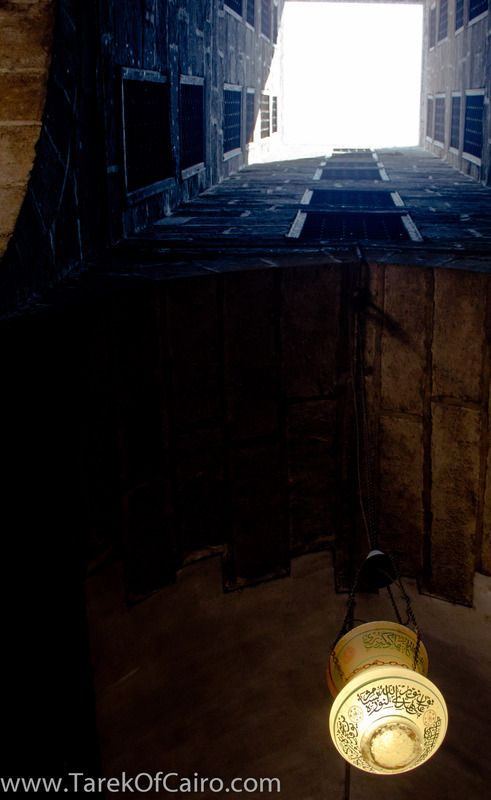 The complex was said to be an architectural triumph that challenges the building of the great pyramid of Giza. Every Cairian – I hope – visited the pyramids of Giza. Most of Cairians – I think- never visited Sultan Hassan complex. I myself came to know about this grand site from a tourist guidebook only two years ago. When I visited the site for the first time I was amazed by the colossal size and the architectural design. I kept snapping photos like crazy without putting any thought into it, but something was odd. Something didn’t make sense. The answers I found in a paper by a Dr. Howadah Alharthey a Saudi archeologist who had her PHD from Harvard university in 1992 and her dissertation was entitled ” Urban form and meaning in Bahari Mamluk architecture” ..
Back to Sultan Hassan .. The building of such a great monument was meant to symbolize and charge his battle against the corrupt power hungry Mamluk Amirs. His strategy was to side with the Egyptians and Awlad Alnas against them. 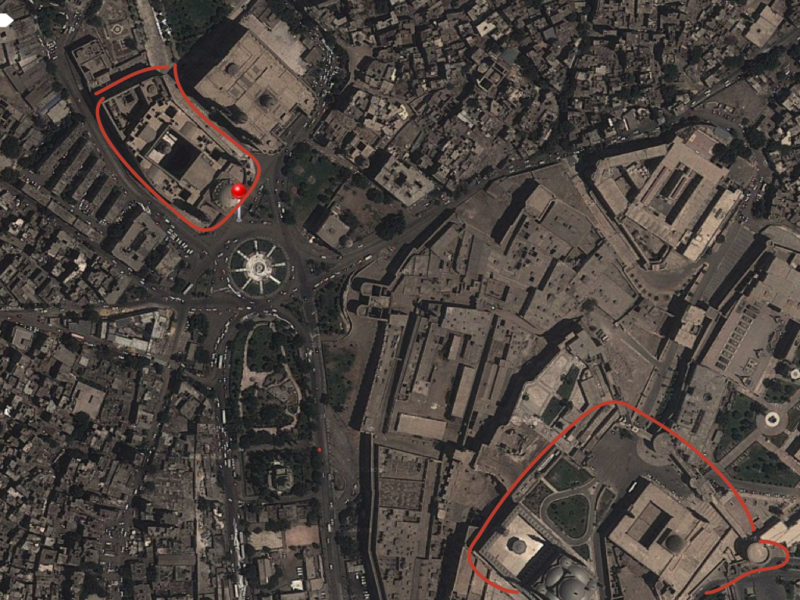 That is why he decided to make this building in this spot (used to be a Horse Market) called the Midan AlRemeela. This Midan – just like Al Tahrir- was always the starting point of peoples uprisings and protests. The place was surrounded by grand palaces of the Mamluk Amirs. Sultan Hassan bought these palaces and demolished them with all the symbolic gesture in doing so. He decided to have a Madrasa with 4 Iwans, each dedicated to one of the 4 Imams of islamic sunni rites (Maliki, Shafai,Hanafi and Hanbali) , on top of every domed Iwan there is 4 story students residence. The Madrassa would signify the importance of the education of the common people. 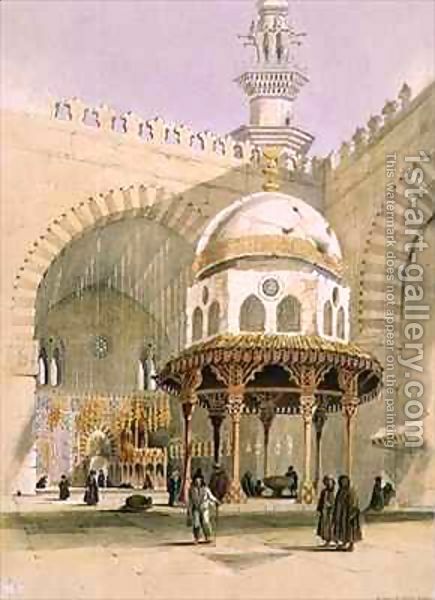 The largest Iwan had Al Mihrab, the Minbar and the Qibla, the place was dedicated in his Waqf statement for Friday prayer which was a weekly congregation of the common people with their Sultan. Behind this Iwan and directly facing the Citadel lies the greatest mausoleum in Egypt. In this place the Sultan and his sons were supposed to be buried. The Sultan body was hidden after his assassination and he was never buried here (You never know in which land you will land !!! ).. The complex had a hospital with 3 resident doctors and 10 interns !!!!. The significance of such a hospital is evident as the construction started following aftermath of the plague. The possessions of the people and rich who perished in the epidemic provided the funds for a great part of the construction. The common people found it more plausible to believe the myth that a treasure was found at the construction site. The complex’s main facade would directly face the Citadel signifying the struggle and defiance against the Mamluks. 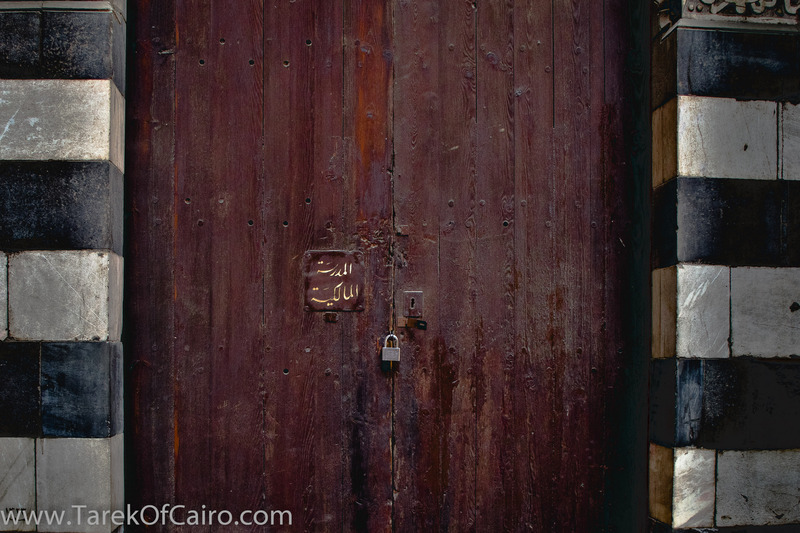 The main entrance facade is the biggest known in Egypt and lies to the north, putting the peoples entrance behind the Sultans mausoleum and facing the Citadel. Very defiant gesture. If you look at a Google satellite map you can see how this building is skewed to make this arrangement. This grand construction had its flaws; historically; the idea didn’t work and the poor Sultan was killed. 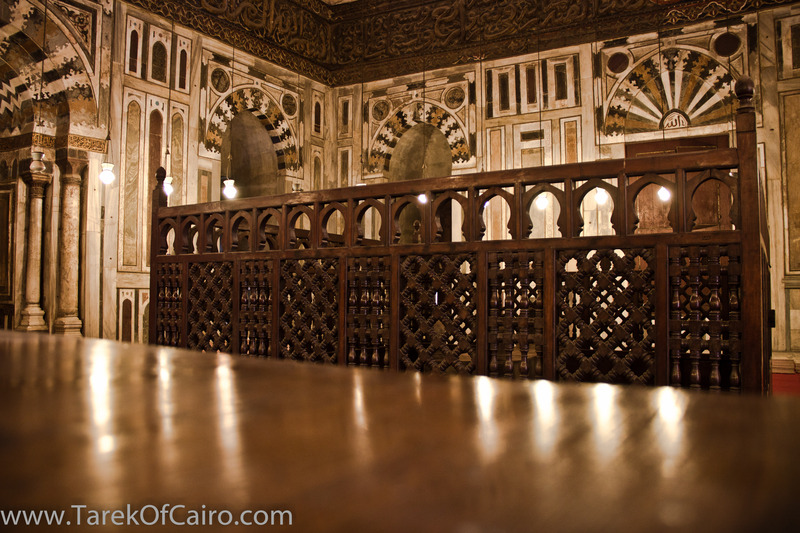 Architecturally; the 30 meter high mausoleum hall had a wooden dome (Quba) supported by amazing wooden maqarnasat. 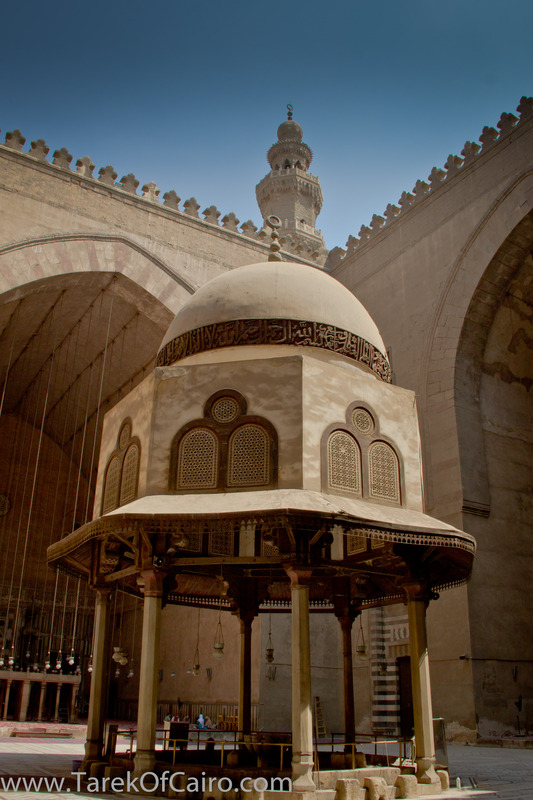 After the construction the dome fell and the wooden moqarnasat survived. The dome was subsequently rebuilt ( looks like stone and cement to me). The complex plan had 4 Minerates, only 3 were constructed. One of the Minerates fell killing 300 people, an event which caused heated discussions (rumors) that the Sultan’s power will decline, and surely 33 days later he was assassinated. What remained is 2 Minerates and Omens. Who would dare and fiddle with that?!!. I will post my photos in the next post ….